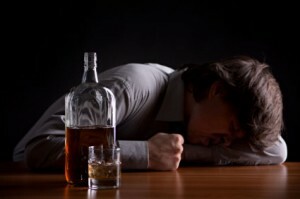 If you truly want to stop drinking on your own you need to realize that your lifestyle will HAVE to change. You may have to lose friends whose company you have really grown to enjoy and welcome. The friends you had in the past could be the ones who ended up encouraging you to drink. The people who were your friends during college – and all the drinking games that occurred back then – may not be a very good influence now. You also need to make sure that you are not tempted by alcohol throughout the course of your day. For example, if you work as an accountant at a company located right next to a bar, you may need to start looking for a new job. The idea of quitting your job because you have a drinking problem does sound drastic. But the fact that you work so close to a bar could be a definite trigger for your drinking problem. Obviously, if you cannot find another job that fits your needs then you should stay at your current one. But, a serious lifestyle change is what can truly make it possible for you to quit drinking on your own. It is also important to realize what your true age is. You cannot drink like you did in the past once you hit your thirties and beyond. The chances of you having to go to the hospital are going to increase substantially as you get older. Simply put, as we get older our bodies cannot handle the same stresses and poor diets as when we were young. You will need to change some of your daily routines. For example, if you have a couple of beers at lunchtime, or hit the same happy hour spot immediately after work, you are probably not going to stop drinking until you change your routine. Or, perhaps you need to stop going to the same restaurants or nightclubs you have in the past? They may be a trigger that makes it harder for you to stop drinking. Perhaps you need a spiritual awakening to stop drinking alcohol? It’s never too late for each of us to take an honest look in the mirror, and ask for help in becoming a better person. Of course, I don’t know you or what your spiritual values are (or aren’t). But, I DO know that whatever the reason you are here on earth it’s NOT so you can waste your life addicted to alcohol. Can you stop drinking on your own? Absolutely. Just be aware that you will need a commitment to change your daily routine and do things differently than before. Simply put, your life will change for the better just as soon as YOU change your habits. You must dedicate yourself to being healthier.